To UNINSTALL software from Shark007 you MUST use the UNINSTALL button on the Help TAB. Anytime you make an adjustment in the settings application using Administrative privileges it is REQUIRED that you re-open the application as a user afterwards to have the settings transfered to the user account. Whenever you open a player, it is almost always done as a user! Concerning S/PDIF, digital, optical and HDMI: The administrator and a regular user are different users and each must setup the Audio TAB for FFDshow pass-through. At no time should anyone have a need to click the leftside of the Audio TAB manually; it uses system detection. 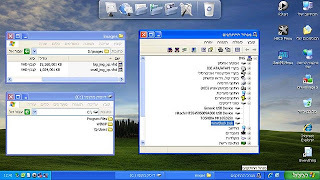 The Application allows each user to maintain individual Windows 7 codec settings while at the same time seamlessly integrating any administrative commands directly into the users account. New users accounts are detected upon opening the Application and automatically inherit the Administrators settings. If you have used a tool called Win7DSFilterTweaker, please use Reset All immediately after installation. This action will correct some inconsistencies caused by the use of that tool. This will also work for audio files such as FLAC, APE or musepack. Codecs have been a problem for most users at one time or another. This is because there has never been an 'out of the box' working solution that the average computer user could install and just have everything work properly from the beginning. There are several decent codec package solutions out there, but none of them did everything I wanted. I was always in need of a tweak, adjustment, or even a re-installation just to get the codecs I needed/wanted and most of the time, the file still didn't play properly. I've never claimed to be a media guru. My media experience prior to creating the Windows 7 codec packages was to double-click a file I downloaded and hope that it played. The installer will automatically remove most other popular codec releases from your computer before installing this concise yet comprehensive windows media center setup package. For a list of all things automatically uninstalled by the Windows 7 codecs installer, Click Here. You won't need to make any adjustments or tweaks to enjoy your media center content immediately. Windows Media Player and Windows Media Center will instantly recognize all your files as playable. The Windows 7 codecs installation supports 20 localizations. The default is English and the installer includes support for the following other languages; Arabic, Chinese Simplified/Traditional, Japanese, Czech, Danish, Dutch, Finnish, French, German, Greek, Italian, Norwegian, Portuguese, Russian, Spanish, Polish, Swedish and Turkish. Languages can be added upon request. When choosing to uninstall this software you MUST use the button on the Help TAB. distribution file information: MajorGeeks receives the distribution file directly from me.